If you sell products or services online, then you have an ecommerce business. From baby products, to health foods, to beard gels – you name it and you can probably find it on an ecommerce site. You build a website, put yourself and products out there, then viola! You’re rolling in dough! If only it were that simple. If you’re thinking about starting an ecommerce site, or if your current online business isn’t doing so well, read on for some useful ecommerce success tips. Clear Policy Statement – As a consumer, few things are as frustrating as hidden conditions or obstacles. Provide easy-to-access policy and procedure information including details about shipping, returns, customer service hours and contact information, and anything else that will cut down on customer questions and complaints. You might even include a FAQ page. 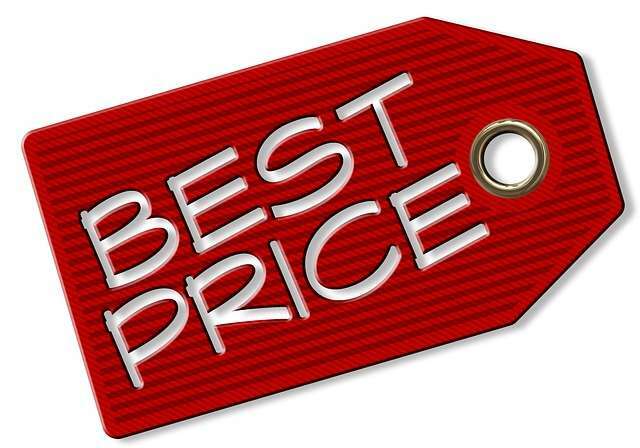 Are Your Prices a Barrier to Sales? We have an SEO client with an e-commerce website, who was concerned with his low sales numbers. It seemed like we were doing all the right things – we had increased traffic to his website over several months with content marketing and on-site SEO, we were running an AdWords campaign that was getting steady clicks every day, and we were also integrating Facebook ads. All these ongoing services were driving traffic to his site – over 2,000 unique visits each month, yet nobody was purchasing anything. Something was definitely wrong. Can Your Shopping Cart Site Be a Quick Success? “All I need to do is add some good meta tags to my website, buy some links, and then I’ll have lots of traffic to my site, and people will then buy my products.” I can’t tell you how many times I’ve heard this, or something very similar. Many new e-commerce website owners are so eager to get on the search engines, and often naively think that once they have their meta tags inserted, buyers will flood their gates. In reality, just like a brick and mortar business, it takes time to build the business and grow your customer base. It takes patience. It takes multiple forms of online marketing – search engine optimization, link submissions, e-mail marketing, and maybe also blogging and frequenting social media sites. It takes traditional forms of marketing – direct mail, print marketing, personal networking, and advertising. Keep in mind – if it were just a matter of optimizing your site and adding meta tags, everyone would be doing it. And these days as more and more people are doing it, then the playing field has become leveled. Why should consumers buy from you rather than buying from a similar site? Likely they have never heard of you. Why should they trust you? It sounds like it’s easy, but an online business is no different than any other business, so treat it as such and you’ll be on the right track. Although most shopping cart systems are up virtually all the time, stuff still happens. Maybe the credit card processor is down…maybe your employee messed things up and now your cart isn’t functioning properly. First, don’t panic. In the internet world, things go down. Customers understand – as long as they have an alternate means of communicating with you. Is your phone number and e-mail address clearly posted on your website? If not, make sure it is. Often, customers will e-mail you letting you know that they’d like to place an order, and then you can take their credit card number over the phone and not lose the sale. If this page is prepared ahead of time (now is a good time), then it can be uploaded immediately, so you don’t lose orders while the issue is being resolved. This is also a great back-up to have in the event of a hurricane or other natural disaster, disgruntled employee mess-up or any other business interruption. If you want to sell a product or service online, there are various methods available to you. 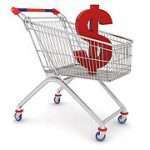 You may have heard the term “shopping cart” before, but what exactly is it? After reading this article, it’ll all make sense to you. 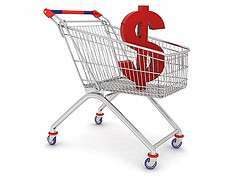 A shopping cart is a generic term that simply refers to the presence of a payment system in some form, on a website. You need to know the different options of shopping carts since they vary in cost of implementation as well in the image they convey. 1. No shopping cart at all. Although technically this shouldn’t even make the list, it is worth mentioning. The cheapest method is not to accept payment online at all, but instead have a payment form on your site that your customers can print, fill out, and either fax or mail to you with their credit card number or check. (Or they simply call you to place an order over the phone.) This costs little to nothing to implement, and also looks unprofessional, but may work well in certain situations. 2. Payment via Pay Pal. You customers select the items they want on your website, and when they click on the “pay” button, your site takes them to Pay Pal, where they can pay with a credit card or their Pay Pal account. This method is convenient for many of your customers who may already have a Pay Pal account, and the cost of paying your web design company to set it up is very affordable, maybe $100-$500 depending on how many products you have and the complexity of shipping calculations required. It is not the most professional looking, since your customers have to leave your site to make payment, but can work well in many cases. 3. Payment via a 3rd party payment gateway. This method is similar to using Pay Pal, except that instead of Pay Pal, your customers pay on another 3rd party website. The reason to use a 3rd party website is that it will provide a secure and encrypted payment, giving your customer piece of mind, and act as the credit card processor. This website can often have your logo on it and other features which make it look just like your website. An example of such a gateway is Linkpoint Connect. Many customers may not even realize that they’ve even left your site, and after paying you can set it up so they return to your site. This is more professional looking than Pay Pal, but costs a bit more to implement. 4. Payment on your site. Using this method, a payment system is implemented on your site to accept credit card payments with a secure and encrypted process. The customer never leaves your site, making this the most professional-looking method. There are many shopping carts available, or your web design company can develop a complete custom cart for you. The cost to implement this is the highest of all the methods, and may range from $750 to several thousands, depending on how much customization is needed, the number of products you have, and other features you need. Keep in mind that any shopping cart will have recurring costs of $20 to $30 per month which is paid to the processing company, and sometimes a one-time set-up fee of $25 to $200 as well.